Have you had Activia yogurt before? It is a tasty yogurt that can be beneficial for digestion. 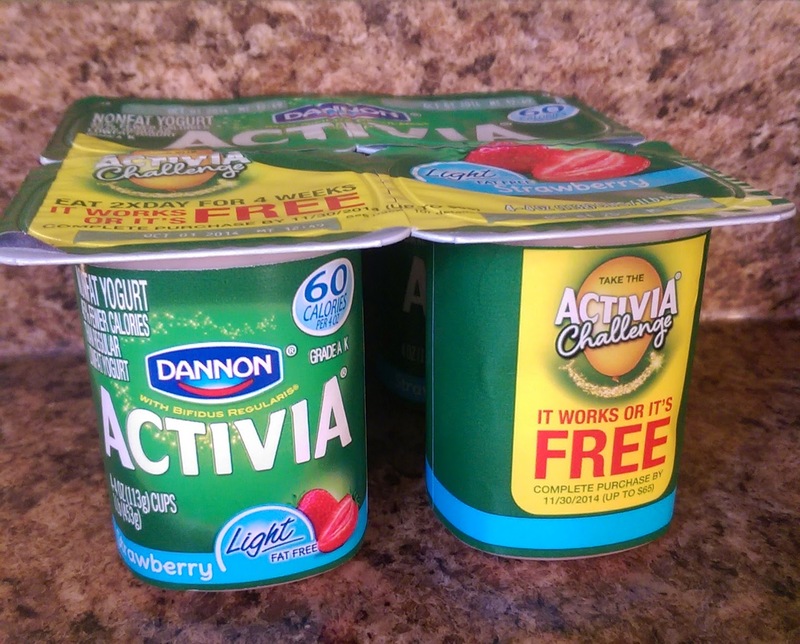 I recently learned about the Activia Challenge which can help people with different digestion issues! If you have issues feeling bloated, gassy, uncomfortable, with rumbling, this challenge may be for you. To join the challenge, you just have to eat Activia twice a day for 4 weeks which may help with some of these issues. The Activia should work, or it is free! See the official rules for more information. Purchase must be completed by 11/30/14 (up to $65). 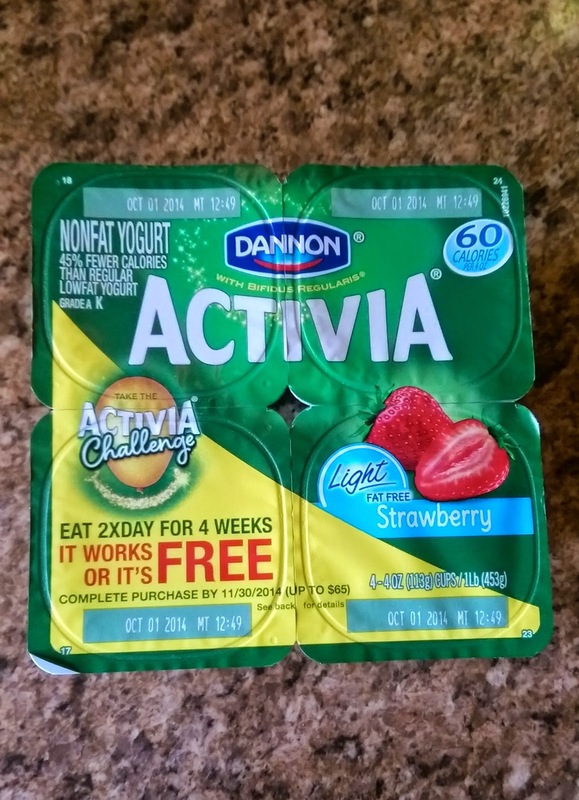 Activia is rich in probiotics which I have talked about several times here on the blog before. They are very important for restoring and maintaining proper health in the gut. Probiotics are good bacteria that the body often does not have enough of. Especially after illness or when you take an antibiotic, probiotics are very important. As a dietitian, I see many, many people with digestive issues. Taking this Activia challenge would be a great idea for them to see if it works. 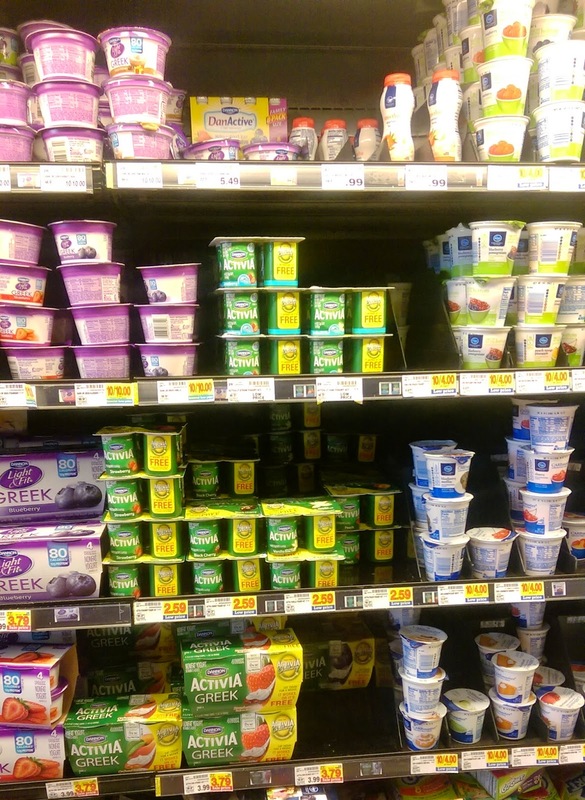 Also, yogurt has protein, calcium and vitamin D which are all necessary nutrients. For the people that I am thinking of that may benefit from this, I know that when they feel lousy, they would do anything to feel right. I personally am a fan of Activia Greek yogurt which has double the protein of regular yogurt and is thicker and creamier. The probiotic that it contains is bifidus regularis. It comes in flavors like peach, blueberry and tropical fruit. One winner will receive 10 full value Activia coupons. The winner will be emailed and will also be announced in my next post about Activia. I have never tried Activia. I eat Activia all the time, and it's awesome -- it tastes great and really does help with a whole bunch of digestive issues! I had it before but not lately. It taste good. I have had Activia before and I liked the flavors. I have had it and I did find that it helped me.